I am soooo excited! At convention Stampin’ Up! announced some new ThinLit dies that are designed to make flip cards on the Big Shot. These are used to make Flip cards! No more lining up traditional dies cutting half a piece of cardstock to make a flip card!! I have opened an order with the new Hostess Code feature. I love this new feature! It is fantastic! I open an order and you can all place your orders on my website by visiting here. When you are on the item screen, enter this hostess code ES9TE9Q2 on the bottom left of the order screen. When you make your payment, your order is closed and will go into the queue for picking and shipping which means that you don’t need to wait for a whole order to close to receive your items. So your items will ship and you will receive them in 7-9 days, many times before the order closes! So this makes a Mystery Hostess easier also – I can open a hostess code for all the individual orders that I used to just put in and can offer the hostess benefits to a Mystery hostess each month. So I can share more with you, my customers! And here is the new HOliday catalog. If you want a paper copy and have not received one, email me know and I will send one to you! 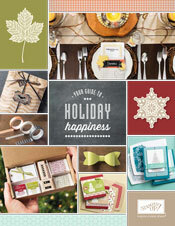 Big Shot, flip cards, Holiday catalog, Stampin' Up! new catalog, thin lit dies. Bookmark.